Healthy Snack Day is a Statewide Day of Action led by the Champions for Change Program at the California Department of Public Health. Healthy Snack Day events are taking place across California on August 29, 2018. 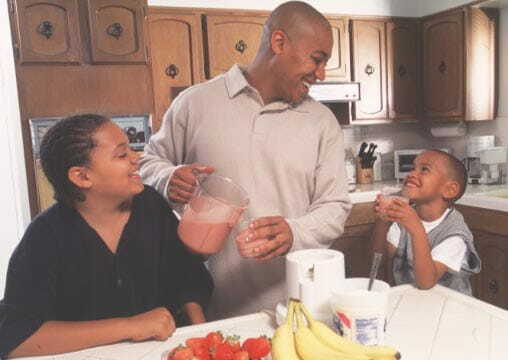 The goal of Healthy Snack Day is to educate Californians on the benefits of eating foods that are nutritious and healthy, and provide easy ways to practice healthy habits for themselves and their families. Anyone is welcome to apply to host. We encourage Schools, Community-Based Organizations, Health Organizations, State and Local Implementing Agencies and their partners to host events. We also encourage them to refer additional local organizations who they have identified as leaders in promoting healthy habits in their communities. If you are uncertain about whether you qualify to host an event, please feel free to contact us at C4C_PR@RescueAgency.com. To add your event to our Healthy Snack Day Virtual Map, please visit the Registration page and submit the Event Registration Form. Be careful, the information you provide on the form will become a part of your Virtual Map marker and will be publically visible. How do I register an event to receive a Healthy Snack Day Event Box? If you already placed an order and received a confirmation, you will receive your Healthy Snack Day Box by August 16. If you still need to sign up to host, please click here. If you already registered, please do not register again. If you would like to be added to our mailing list to be notified about when boxes become available for our next Statewide Day of Action, please reach out to us at C4C_PR@RescueAgency.com. There is no age limit for attendees, in fact the Healthy Snack Day Event Box materials provides activities for children and adults. The fact is, Californians of all ages can benefit from eating healthy snacks. What is inside the Healthy Snack Day Event Box? Inside the Healthy Snack Day Event Box is everything you need to produce a Healthy Snack Day event. How many attendees is the Healthy Snack Day Event Box designed to support? If you believe that you will need more materials for your event, please visit the Resources page to print out additional copies, or reach out to your local county health department for options regarding additional printed materials.